The 2017 Dodge Journey is a fantastic option for any driver who needs a versatile crossover SUV with three rows of seating and plenty of standard features. This family-friendly SUV is both practical yet fun, and it features the brand's sporty and athletic style. The new 2017 model is quite similar to the 2016 model, though Dodge has added a new GT trim level. The GT trim level will be the highest option, and it boasts many luxury features. 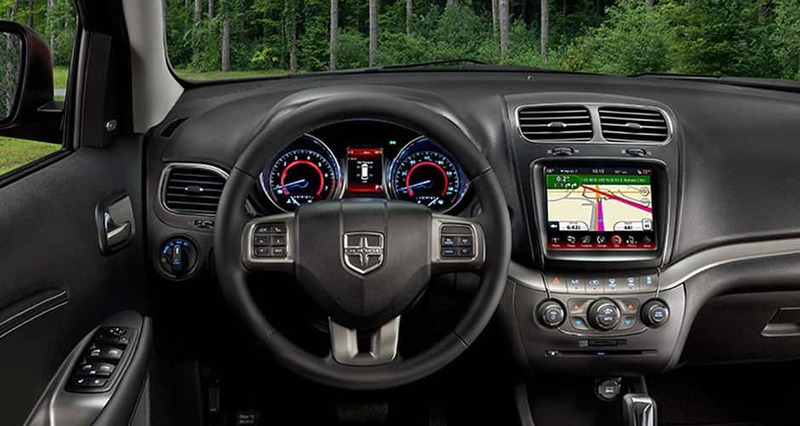 If you are curious to learn more about the 2017 Dodge Journey continue reading below! Dodge offers two different engine options with the 2017 Journey. The standard is the 2.4-liter four-cylinder, and it will provide 173 horsepower and 166 lb-ft of torque. It features a front-wheel-drive system and a four-speed automatic transmission. The second engine is the 3.6-liter V6, and it provides 283 horsepower and 260 lb-ft of torque. This engine will come paired to a six-speed automatic transmission, and the vehicle can be equipped with either front-wheel or all-wheel drive. The GT trim will offer many performance enhanced features, including a sport-tuned suspension, which will lead to a fun and dynamic daily drive. In 2017 the Journey will be offered in five different trim levels, which include the SE, SXT, Crossroad, Crossroad Plus, and GT. The Journey is available in two seating configurations, leading to capacities for either five or seven passengers. Each trim is well-equipped, making it an excellent value for a wide range of customers. The SE trim will feature highlights like keyless ignition/entry, roof rails, dual-zone manual climate control, and a 4.3-inch touchscreen with a six-speaker sound system. Some of the features found on the other trims include a leather-wrapped steering wheel, and 8.4-inch Uconnect touchscreen, and perforated leather upholstery. Additionally, the vehicle can be equipped with many standalone features and a few great appearance packages. For example, the Blacktop package features a gloss black grille, exterior trim, and 19-inch wheels. The available standalone features can include a navigation system, a rear-seat entertainment system, and a sunroof. When can I come in to have my vehicle serviced? You can easily schedule an appointment in our Garden City Service Center by clicking right here! How much interior space is offered for cargo? 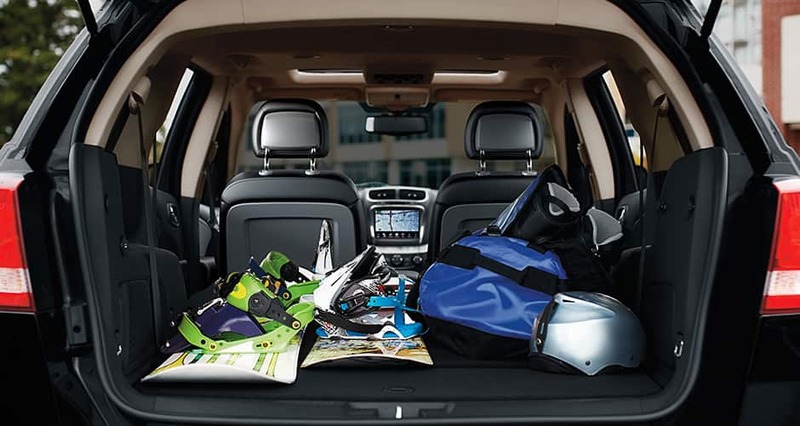 The 2017 Dodge Journey offers 67 cubic feet of cargo space! How can I calculate my future payments? The 2017 Dodge Journey has performed exceptionally well in a number of tests performed by both the government and Insurance Institute for Highway Safety (IIHS). For airbags, the Journey features front side, side curtain, and driver knee airbags. Every 2017 Dodge Journey will come equipped with traction and stability control, antilock disc brakes, and active front head restraints. Dodge offers integrated second-row child booster seats as an available option. Furthermore, the Journey can be equipped with rear parking sensors and a rearview camera, both of which will work to enhance the driver's awareness and alertness during every drive. 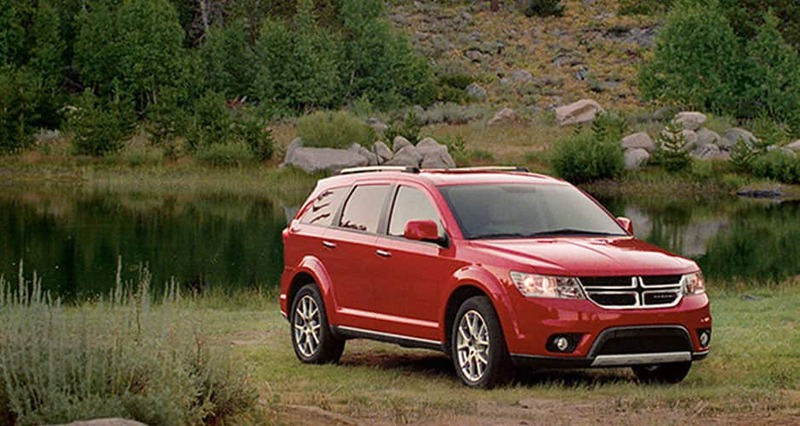 Are you curious to learn more about the fantastic 2017 Dodge Journey? Then give us a call or stop in today at Suburban Chrysler Dodge Jeep RAM of Garden City!